Welcome to the Not A Drop To Drink blog tour! I am thrilled to be a part of this tour, and to feature this wonderful book and author! Let's meet the author, shall we? Alyssa: Hi, Mindy! Thank you so much for joining today on my blog! Alyssa: Awww, that's so nice of you to say! 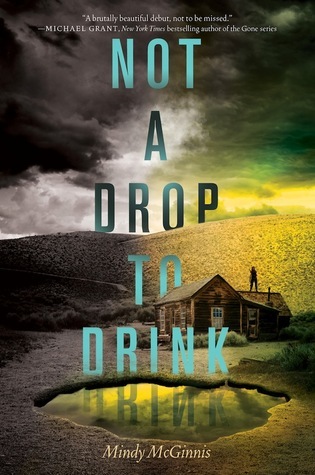 Describe Not a Drop to Drink in seventeen words, to someone who has never heard of your book! Mindy: It’s a post-apoc survival tale set in a world with very little water. Three more words. Alyssa: Name another post-apocalyptic novel (recent or not) that you really enjoyed and/or influenced you or your book? Mindy: THE STAND by Stephen King was probably the first post-apoc book I ever read. It blew me away. I’ve read it four times now, I think. Alyssa: How did you choose character names in Not a Drop to Drink? Mindy: I don’t choose their names, they do! I refer to them in my own head very generically, like Girl Character, etc, then when it’s time to name them in the text I just rest my hands and ask them their name. They come up with good stuff. Alyssa: What’s one song that really represents this book? Mindy: Rocks and Water by Deb Talan fits it very well, also I had a songwriter / singer friend of mine write an original song for the book, but it’s on the downlow for now! Alyssa: I'll have to look up that one! What kind of research did you have to do for this book? Mindy: I learned a lot about SODIS, a natural way to purify water using the sun’s UV-A rays. Other things in the book like gardening, canning and hunting are things I already know how to do, and didn't require research. Even skinning a deer. Yes, I know how to gut a deer. It’s really not that bad. Alyssa: How do you like your romance? Are you a fan of “love triangles”? Mindy: Ugh. Honestly I’m just not into romance at all. It’s just so not my thing. Mindy: I forgive you. DRINK is a standalone in the sense that all the storylines and plots here are tied off and finished by the end of the book. No cliffhangers, no teases. Lynn’s story ends here. However, it’s a big world, and we only explored a tiny corner of it in DRINK. Alyssa: :D What are you currently working on in terms of Young Adult projects - something new? Anything contracted? 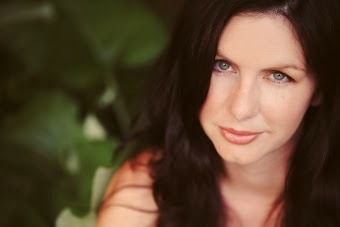 Mindy: I recently signed another two book deal with Katherine Tegen books, and I will have YA releases in 2014, 2015 and 2016! Alyssa: YAY CONGRATULATIONS! Although I did know that one :D But woohoo! And that’s it from me! Thank you so much for stopping by my blog, Mindy! Mindy: Thank you for having me – I’m so glad I could be here. You’ve been a “fan” of mine since before I even had a cover!! I'm so completely in love with this book and I haven't even read it! Can't wait for my pre-order to get here! So excited to read this book! Love gritty dystopian books! thanks! I've heard so many rave reviews about this book on blogs, so I can't wait to read it. Also, its great to hear you have more books coming out in the next few years, I'm always so sad when I read a book I really like and the author never has another book (series or otherwise). I want to read this book so bad, it looks amazing!!! !